GV Audio K12 inventory sees an update to new QSC K12.2 model. 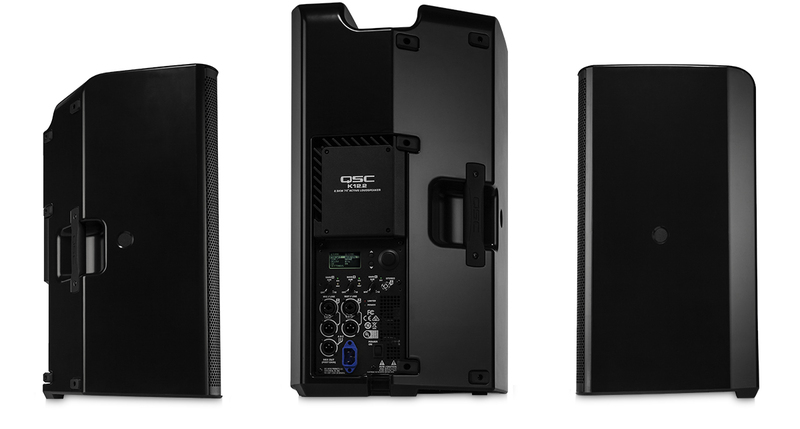 As of February 1, 2018 all of the K12’s in GV Audios Rental and Production inventory have been updated to the new K12.2 version.The new version of one of QSC’s most popular loudspeakers now boasts a 2000w power module as well as built-in Digital Signal Processing. The new DSP engine in it allows you to switch your inputs from Mic to Line, adjust the high pass filter, as well as set a delay within the box for time alignment, as well as boasts several preset EQ curves. As well as the new DSP and bigger power amplifier the new K12.2 boxes boast a 75 degree Directivity Matched Transition design which provides an excellent and consistent performance across the listening area. This design matches up the dispersion pattern of both the high frequency device as well as the 12” woofer to give you even coverage of both in a 75 degree conical pattern. The new K12.2 also includes a new design of the dual angle pole cup, and the ability to be utilized as a floor monitor.